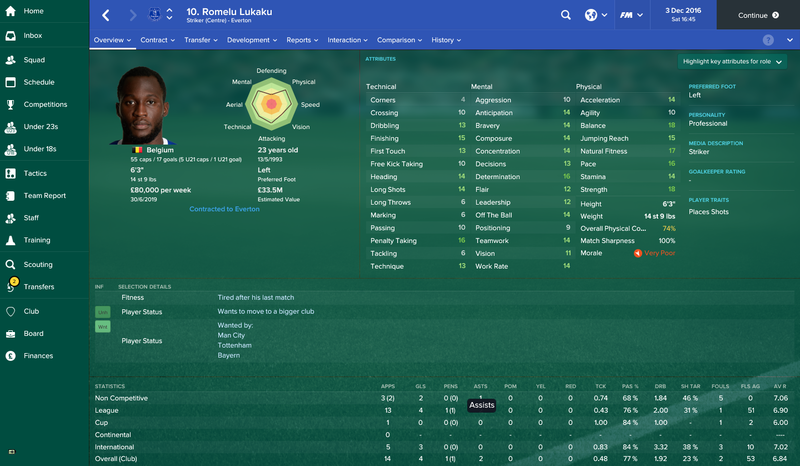 I have a great striker on football manager, but I do not have a clue what would be the best preferred moves to teach him. In this article we are going to review the best preferred moves for a striker on football manager. 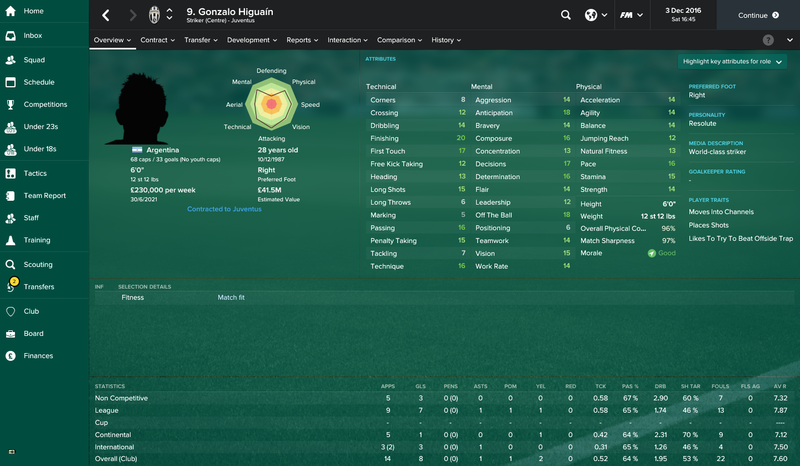 Just what the hell is a preferred move and why does my striker need one? A preferred move is what a football player likes doing on the pitch. Messi likes to run with the ball often. Lee Cattermole likes to dive into tackles. Player preferred moves or PPMs for short CAN be a good thing for your player to have, only if he has the attributes to back it up. If you have a striker who has an attribute of 7 for long shots, is it going to be a good idea for him to shoot from distance? Now lets say you have that same striker and he has a long shot attribute of 19. Could it be a good idea for him to shoot from distance? 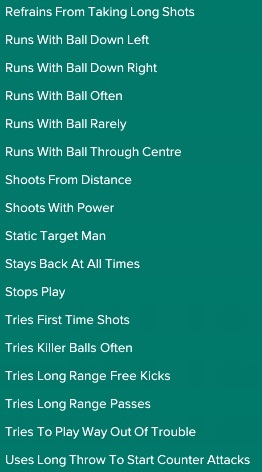 If you are looking for the best preferred moves for your striker on football manager, you MUST review his attributes. What do I do to pick a preferred move for my strikers? I will break it down. I firstly will check out my strikers best attributes and make a note of them. I will think about how I want to set up my tactics. Lets say I have a very creative midfielder who is great at making killer balls and that I have a striker who is fast. What would be a good combo for this? You guessed correct. My midfielder should be playing killer balls through to my fast striker. So what preferred moves would I teach my fast striker? Likes to beat offside trap would be a good option. ...And what would you like to happen when your striker gets the ball? If he is good at dribbling with the ball, could it be a good idea to use his pace and knock the ball past opponent? How good is the players finishing? How do you want him to shoot? 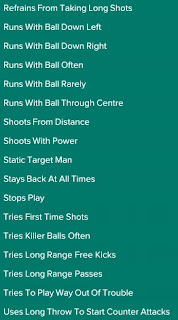 - If his finishing attribute is high and he has good technique, then could it be a good idea to place shots? You need to picture in your head how you want to attack and what YOU want to happen on the pitch. You have a good winger who is good at crossing. And you have a striker who is strong, good in the air and is good at heading. I know what I would be doing. Get the crosses in for the powerful striker. You might want to float crosses so your striker has time to get into position to head the ball. You will want him to get into the opposition area. So give him that preferred move. 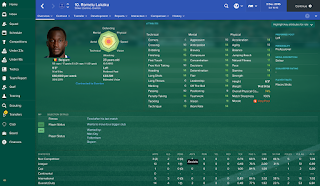 It's difficult for me to give you a one size fits all for every striker on football manager. How hard is it to just check out the best attributes of your striker. Think about how you want to play and then think about what preferred moves would be best for your striker. It's not very in all honesty. Take a look at the list and just think about the above.